Staby Multi Media Education Program that teaches how to incorporate Staby in your training and group X business. You’ll also have access to our downloadable online marketing and promotional materials. 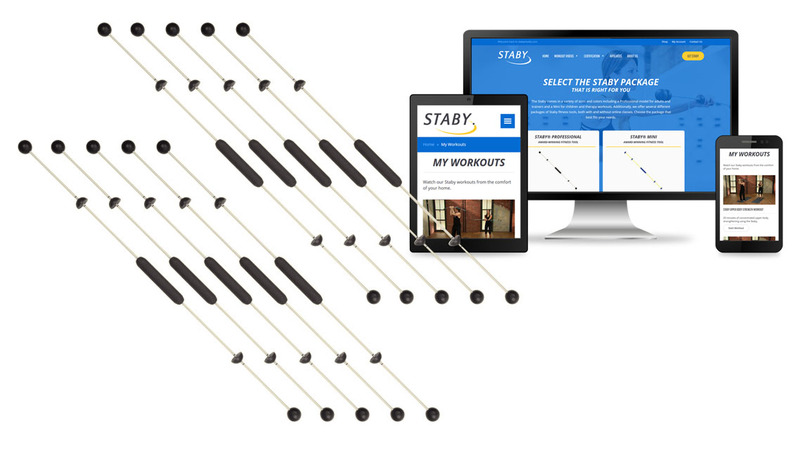 Promote and hold STABY group fitness classes, get feedback from your clients. If you keep the STABYs after the 60-day fitness studio trial, you will only be billed an additional $695 (and that special discounted price includes up to $708 in additional immediate and future online education, workouts and discounted merchandise savings.) Your studio will also be enrolled as a STABY affiliate and will make ongoing commissions from the purchases from any client you recommend to us. Limit of 2 packages per studio. You’ll also have access to our downloadable online marketing and promotional materials. 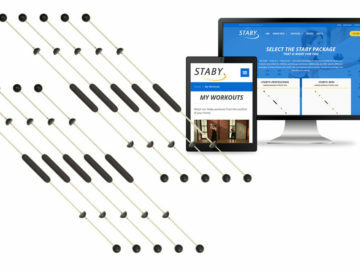 Promote and hold STABY group fitness classes, get feedback from your clients. If you keep the STABYs after the 60-day fitness studio trial, you will only be billed an additional $695 (and that special discounted price includes up to $708 in additional immediate and future online education, workouts and discounted merchandise savings.) Your studio will also be enrolled as a STABY affiliate and will make ongoing commissions from the purchases from any client you recommend to us. Limit of 2 packages per studio. TO INSURE YOU WILL HAVE A FULL 60 DAYS TRIAL AND STILL HAVE TIME TO RETURN IT TO US AND CANCEL, WE WON’T SCHEDULE ANY ADDITIONAL FEES UNTIL AFTER 75 DAYS.